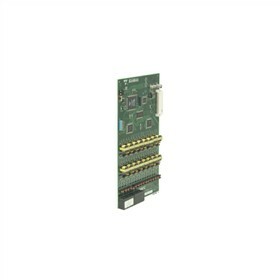 The NEC 1091004 16 Port Digital Station Card connects 16 digital extensions. The 16ESIU has a Mode Switch (for taking the card out of service). It also has a status LED that indicates proper card operation as well as a port activity LED that flashes faster as traffic on the card increases. You can install up to two 16ESIU Cards in a DSX-80. You can install up to six 16ESIU Cards in a DSX-160. The NEC 1091004 has many exciting features for users of all types. The NEC 1091004 is sold as a Brand New Unopened Item.